Business Boutique: Pat Flynn is Coming to Nashville! Yes, you heard me right. Pat Flynn is coming to Dave Ramsey and Christy Wright’s Business Boutique in Nashville! What does Pat have to do with the Business Boutique and Dave Ramsey? Alright – so some of you may know that I’m a bit crazy for the Dave Ramsey idea of having no debt. My debt free date was February 26, 2015! I will never forget it either. The world became mine and my family’s that day, but this conference isn’t about that. It’s about women creating businesses for themselves. Christy Wright’s Business Boutique is coming back to Nashville – not like it ever left – but tickets are on sale ALREADY. Keep reading to find out why this matters to me. One of Dave’s coaches who works for him is Christy Wright. She’s drop-dead gorgeous, and she just happened to be my girls’ soccer coach when they were like 5 or 6 years old. 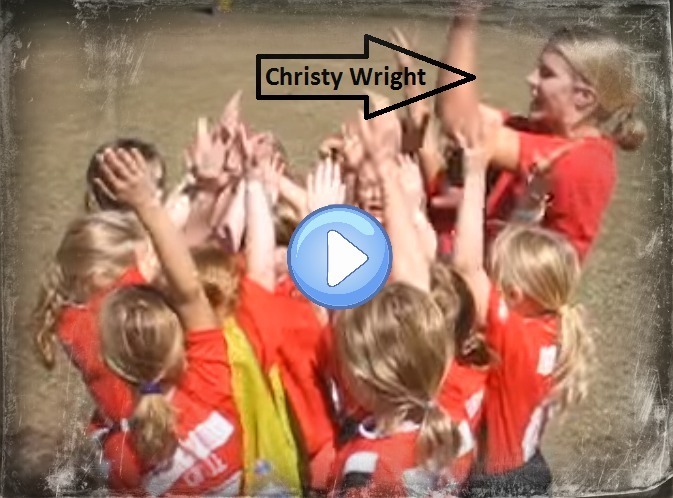 Check out this video from long ago of Christy Wright coaching. Foreshadowing at its best, huh? Click to watch Christy coaching her cute little soccer players, including my twin daughters, Zoe and Kate. Then fast forward to the first Business Boutique ever. It was 2015. Christy’s blog came to my Inbox, and I actually opened it (sort of a miracle, as my emails stack up fast). I bought a ticket to support her even though I wasn’t sure if I would be in town or not. I figured I could afford $100. Heck, I was used to paying ridiculous prices for conferences, like Social Media Marketing World at nearly $1,000 a pop! Then something caught my eye. Mari Smith, the Queen of Facebook, was on the speaker’s list. Meeting Mari was one of those moments that I knew could be a stepping off point for me, or I could waste it and let it pass like any celebrity sighting. 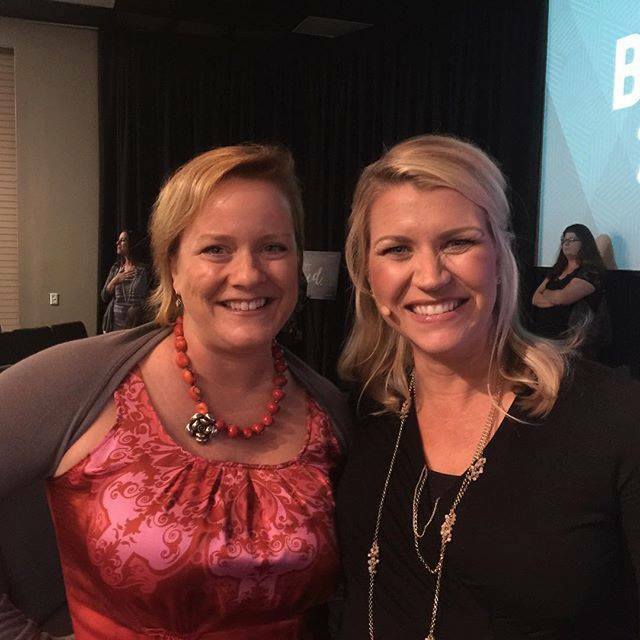 I seized the opportunity, joined her Inner Circle, and ended up as one of her designated Facebook marketing experts at her workshop attached to the next Social Media Marketing World in San Diego. While there, I met Lisa Jenkins, Managing Editor of Social Media Examiner, the largest social media blog in the whole, wide world. She graciously interviewed me for a writing position and gave me the chance to apply. 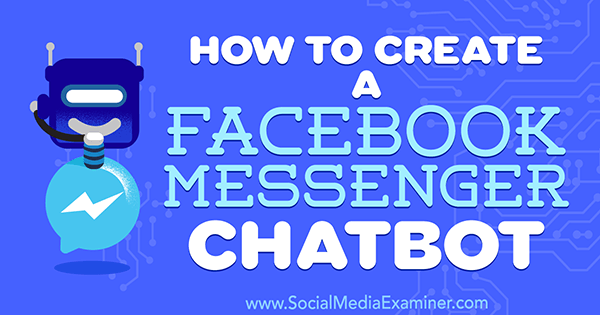 I was super busy over the summer teaching my brand new social media students, but finally I submitted an idea and ended up being an official contributor with my article on How to Create a Facebook Messenger Chatbot. I can’t forget that Business Boutique came around again in November 2016. This time, I decided to promote the event for them and to run a fun treasure hunt and workshop. Here are some of us at the Social Postal Treasure Hunt that we ran on Instagram. Thank you, Claudia Sheridan and Wendy Nicole Anderson, for running the Social Postal Treasure Hunt and Workshop with me! The winning team of our treasure hunt! My promo code sold more tickets than any other by a long shot, and that got the attention of the Dave Ramsey folks. I made no money on that, but it sure did help get me noticed. Pretty soon, I was interviewed for their podcast (still pending a release date), and I was featured in their book trailer promo for the release of Christy’s book…..titled….yep….Business Boutique. Here’s my Business Boutique video debut. They filmed at my home nearly all day for this! If you look real close, you’ll see my husband in the video with me towards the end, and they zoomed in on a picture of my 3 daughters. Eek! Now it’s time to announce Business Boutique #3! I’ve got a promo code again to buy tickets for Business Boutique this coming November. Use GOSALLYGO to get $10 off and the processing fee waived. What do YOU get if you use my promo code over others? I’m having a party on Friday, November 3 on a rooftop in downtown Nashville. Message me for details. If you decide to join me in Nashville in November at this early bird price, let me know, okay? I’m sure I’ll be rustling up something fun for us to do. Pat Flynn and Sally Hendrick – buddies. If you can’t find me, I’ll be stalking Pat Flynn. Let’s hope he’s as nice as Amy Porterfield was last year. Amy Porterfield and Sally Hendrick – BFF’s. Sally Hendrick and Christy Wright – long time friends.